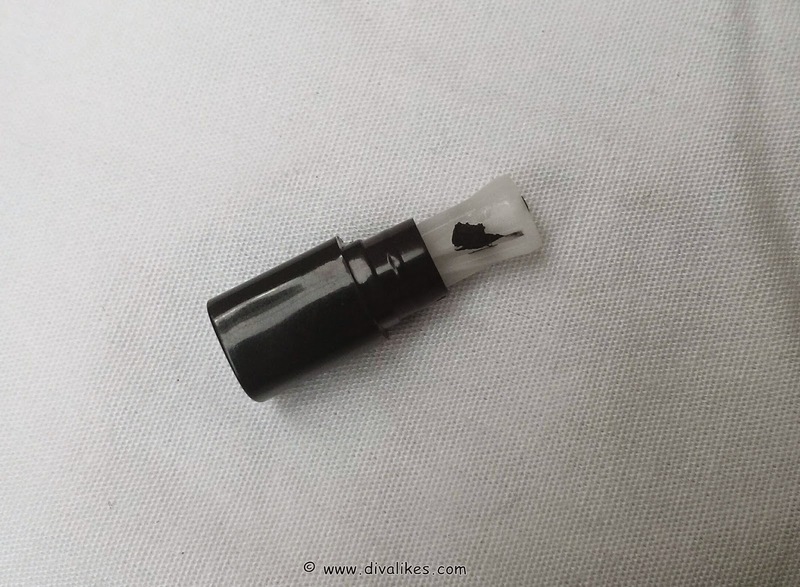 No matter how hard I try, the search for my HG kohl will never end. A few days back I was sent MTV Muah by Blue Heaven Kohl Pencil by Diva Likes. I was really excited to see this particular product when I opened the package. This is because all the other MTV MUAH products I had used so far, have all been great. So I expected the same from this one too. I was trying to meddle with it when magically a small piece detached itself from the back of the kohl. It was a tiny sharpener. I was super surprised and more excited that ever. 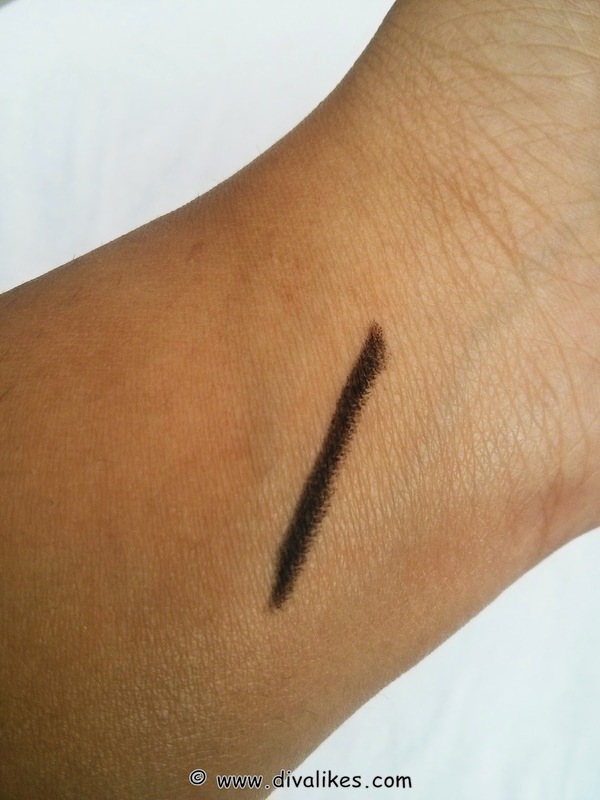 Read on to see if this product was good enough to keep up to my expectations! 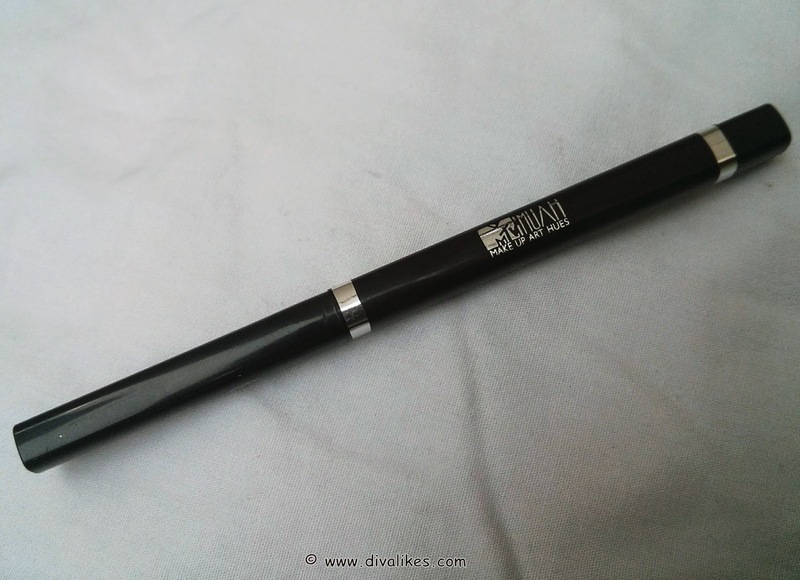 MUAH Kohl Pencil is a long wearing Kajal eyeliner. Provides the desired intense lines with even smooth application. Start from the inner corner of the eye, mark a neat stroke on the upper eyelid extending outwards. Repeat the same on the lower lid. It comes in a two-way twist up type pen with a detachable sharpener attached to the rear end. The cap closes with a click and is fixed tight. Even though the packaging is black in color and not super attractive, I really liked it. It is a very clever idea to come up with the two-way twist up and the sharpener. The product itself is like a think stick of kohl, encased in the pencil like case. 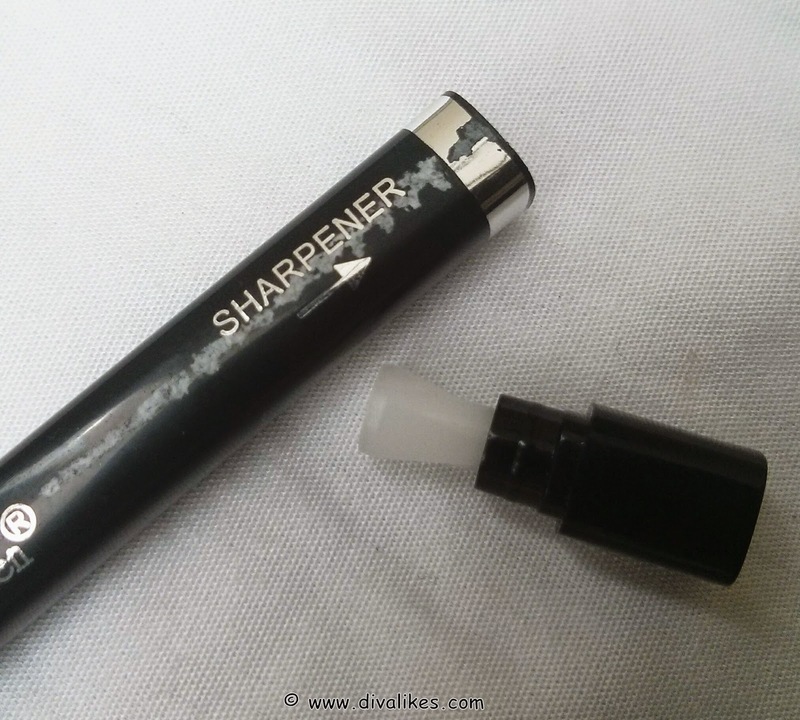 The sharpener is perfect for the kohl tip to get sharp. 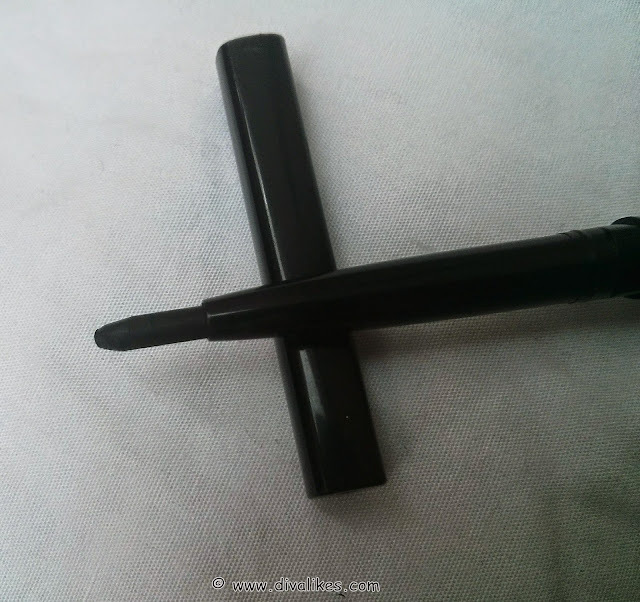 The shade is dark black but does not give you that color with one swipe. It's not just two or three, but several swipes to bring it to an opaque look. The same holds good for the waterline too. 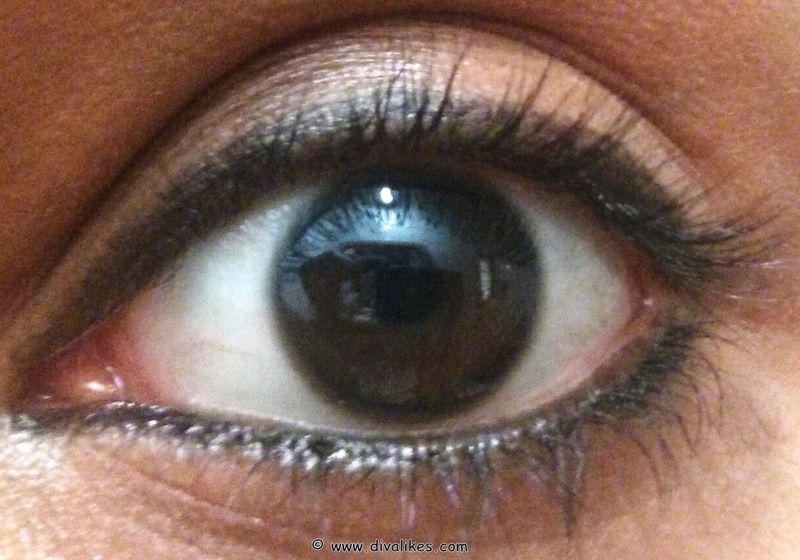 It requires several swipes to bring a darkened color on your eyes. The product hardly stays even for an hour on the eyelid. It's even worse on the waterline. It is not only hard to set on the waterline but also the staying time is worst. I can't even give a proper time frame for how long it stays. So you can imagine how bad is the staying power. This is a total disappointment and big no from my side. It has a sharpener which is quite efficient. Doesn't work on the waterline. Bad pigmentation. It needs several swipes to bring in color. I would not recommend this product to anyone. The rating I have given is only for the packaging and nothing else. This is a good try by MTV MUAH but did not work out as they planned. Too bad...didnt expect it to be this way! Thanks to your review my money is saved! A complete dud..was planning to buy it..